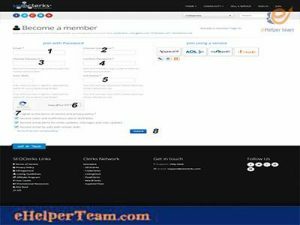 SEOClerks.com (affiliate program) is an important section in SEOClerks website. 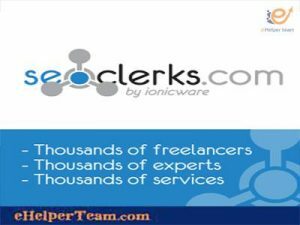 SEOClerks.com is an online marketplace offering search engine optimization services. Also it has other small jobs for a fee. In SEOClerks website you can find many sections like trades, buy tweets, buy articles. Furthermore you can find sections like buy blog reviews, buy ebook, buy software, buy theme, and others. But we are discussing SEOClerks affiliate program. It is a good way to earn money. To become an affiliate all you need to do is to register, and make an account. 1- Click on sign up, and after that you will find a page. This page you have to fill it. It contains Email, Choose user name, Choose password, Confirm password, Your skills, and Full name. Every member has an affiliate link. You can find your affiliate link on SEOClerk affiliate program page. You will become an affiliate if you are a member. It pays you when your visitors buy any SEOClerks service. That is for life! 1- You will get 10% commissions on all sales. 2- If you are a member on it, you will earn from the purchases for life. 3- You can have a link on your site or as a forum signature, and earn passive income. 4- It provides affiliates with $5 coupons for anyone they refer. It is a good way. Also SEOClerks forum has a high conversion rates. Be sure to advertise in your signature on forums that allow that. Also forums that have a section to advertise your affiliate link. Webmaster, admin, and internet marketing forums are better to try to go for them. They are better because they are more interested in SEOClerks. It is important to get affiliates. But be sure not to post your link anywhere. It is important because this thing will be considered as spam. You should post your link when there is a discussion that is related on social media pages. The company provides affiliates with $5 coupon offering for people they refer. They can use it on services. Also This gives them the opportunity to try out the marketplace. You’ll earn an affiliate commission for their coupon usage . 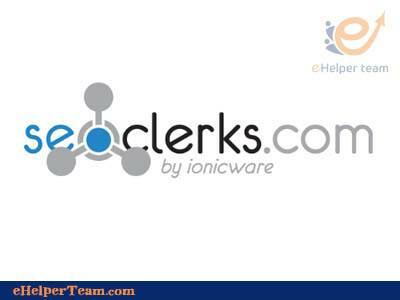 SEOClerks affiliate contains stores.These stores pull data from API concerning SEOClerks. Also these stores allow you to make a customization for services type and listings you want to promote. There is two options: the manual, and the automatic. In manual option you can get the code you want to insert it into your posts or pages on your website. Also if you have skills in HTML/CSS or PHP coding, you will make your affiliate store. It is by using your affiliate ID to have referrals concerning you.